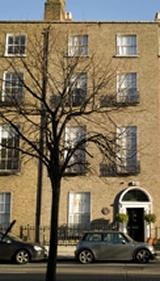 Occupying the entire 5 floors of the famous Francis Bacon building at 63 Lower Baggot St. Dublin 2, New You is a luxurious 5000sq ft dedicated one to one personal training weight management, medical and rehabilitation clinic. The high ceilings, large windows and airy environment will immediately lift your spirits. This state of the art facility will lead to a training and feel good experience that is second to none.